Lewis Machine and Tool (LMT) has introduced a new AR stock for 2014. The DMR buttstock is adjustable by two positions on the extension tube, fits all Mil-Spec carbine buffer tubes, the cheek-well height is adjustable by 45 positions and the length of pull is also adjustable by 45 positions. The DMR has a concealed rail for attaching a mono-pod, 4 QD swivel sockets, a SOPMOD cheek rest, and a SOPMOD rubber plate. The retail price for the DMR has not yet been set. For more information visit, lewismachine.net. Adams Arms has announced their COR (Competition Optic Ready) Rifle for 2014. This AR-style rifle features a 16.5” rifle length ultra-light barrel, a low-mass skeletonized BCG, a Hiperfire 24C competition trigger, and a VooDoo Innovations Jet compensator. As pictured, the COR Rifle can be purchased in a Kryptek camouflage pattern for $140 over MSRP. The COR Rifle retails for $1995.00. For more information visit, http://www.adamsarms.net/, or call 1-877-461-2572. High Speed Gear (HSG) has three new products for 2014 to outfit your tactical kit. The Extended Pistol TACO Universal Mag Pouch (MSRP $28.00) will fit most high-capacity handgun and sub-gun magazines as well as other equipment such as large flashlights and collapsible batons. The HSM TACO High Capacity Rifle Mag Pouch (MSRP $35.00) is designed to secure high capacity rifle and Saiga-style shotgun magazines as well as many LE/MIL handheld radios. In a joint venture with NOLATAC and HSG, the NOLATAC M3T – Multiple-Mission Medical TACO (MSRP $75.00) allows for the customization of your medical kit while using various manufacturers inserts and trays. All three products are available in multiple color patterns. The color pattern of Kryptek Highlander is not currently available, however all HSG kit will be available in this pattern on a limited run in February 2014. For more information visit, https://www.highspeedgear.com/. New from Danner for 2014 is their Tachyon GTX boot line. The Tachyon GTX features a GORE-TEX lining, a full grain leather polishable toe, pentagon lug pattern sole with a fully rubberized outsole, a fully waterproof synthetic ultralight upper, speed lacing system, and an EVA mid-sole. Each boot weighs in at 17 oz (for a size 10). The Tachyon retails for $150.00. For more information visit, danner.com. The Sharps Rifle Company has introduced a 100% drop-in compatible AR-15 bolt for 2014. The S7 steel bolt will withstand over 200,000 PSI, has beveled lugs on the bolt face to assist with any timing issues, has a Nickel Teflon coating, rubber extractor spring donut, and a standard ejector and extractor. The Sharps AR bolt retails for $149.99. For more information visit, http://www.srcarms.com. Blade-Tech has two new concealable holsters for 2014, the Ambi-Eclipse and the Ambi-Klipt. The Ambi-Eclipse builds on the popular Eclipse holster and creates a 4 in 1 system that will allow for an inside the waistband or outside the waistband option for both right and left sides. The holster itself is not contoured and features sweat guards on both sides of the holster. The removable belt loops are flexible for better contouring on the body and both belt loops and IWB clips are included. The Ambi-Eclipse is available for Glock (including the new Glock 41 and 42, Smith & Wesson M&P, and 1911’s with more options coming soon. The Ambi-Klipt is an IWB holster with an adjustable and reversible polymer clip to adjust hand selection and height adjustment. The Ambi-Klipt was designed for compact handguns and is currently available for the Glock 26, Glock 42, and the Remington 51. Both of these holsters are 100% made in the U.S.A. For more information visit, blade-tech.com. New from Beretta for 2014 is the Nano 9mm conceal carry handgun. The Nano features a snag-free design, is Beretta’s first striker fire handgun, and has an interchangeable frame for your preference of a variety of colors. The serial number is sub-chassis to remain in ATF compliance while changing out the frame. There are 3 passive safeties on the Nano; the trigger safety, the fire pin block, and a deactivator that will “lock” the handgun not allowing the trigger to be pressed without first pulling the slide back approximately ¼ inch. Two magazines are included, a 6+1 flush magazine and a 8+1 extended magazine. The Nano retails for $475. 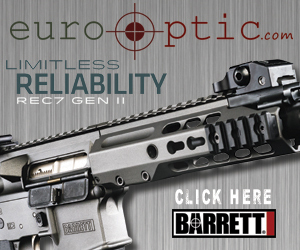 For more information visit, http://www.berettausa.com/, or call 1-800-929-2901. Armalite has added another model to their precision rifle line-up in 2014 with the sub-MOA Armalite AR-31. The AR-31’s 24” barrel is chambered in .308 WIN, has a short bolt action, a single-stage Shilen trigger, and accepts AR-10B double-stack magazines. While test firing this rifle, there is very light felt recoil, which is similar to shooting a 5.56mm AR-style rifle, and consistently hit a 5” steel plate at 100 yards (maximum distance at range during test). The AR-31 retails for $3,46.00. For more information visit, http://www.armalite.com/, or call 1-800-336-0184.